I never thought I would ever say these 3 words… The 3 words that stop people in their tracks, cause the heart to skip a beat, and make someone take a double take. I’M A VEGAN. You heard me! Well, for at least a week I’ve been able to say those words and they were actually the truth. In fact, they still are! I had been traveling for a week straight across the country from Florida to California and from very south to very north. I decided when I came back that it was time to change it up and do a reset. So, my friend and right hand gal, Danielle Bertiger has recently gotten her Holistic Health Coach certification, so I said – okay, let’s do this! And I did! I committed to a week of vegan eating. (*Note that she isn’t a vegan or an only vegan coach AT ALL – this is just her special cleanup program! 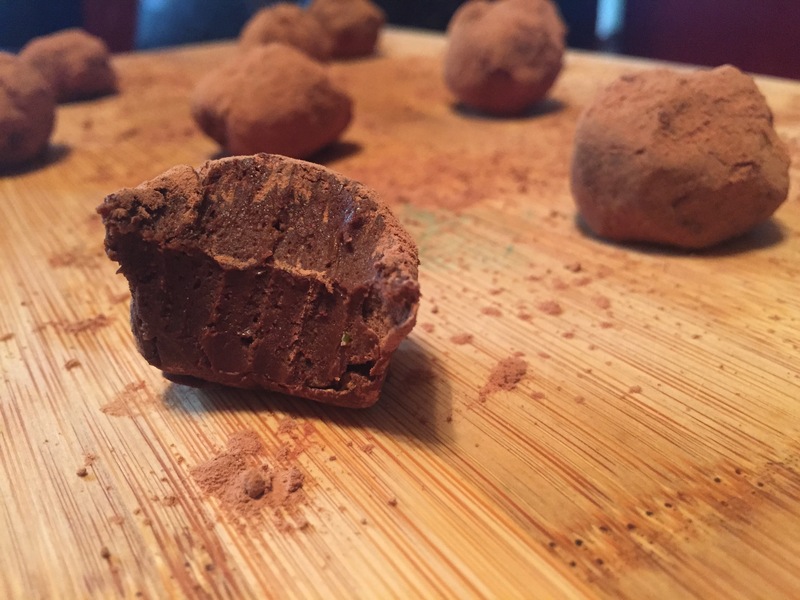 Check it out on her blog – Uncaged Cuisine.) Now, mind you – I still had my coffee, but no meat, no dairy, no unnatural sugar, no animal products. Eating vegan this week opened my eyes to a lot things… First of all, through Danielle’s “cleanup” I got some GREAT new recipes! I can use these and keep them vegan/vegetarian or even add meat sometimes. I also discovered some amazing new products! 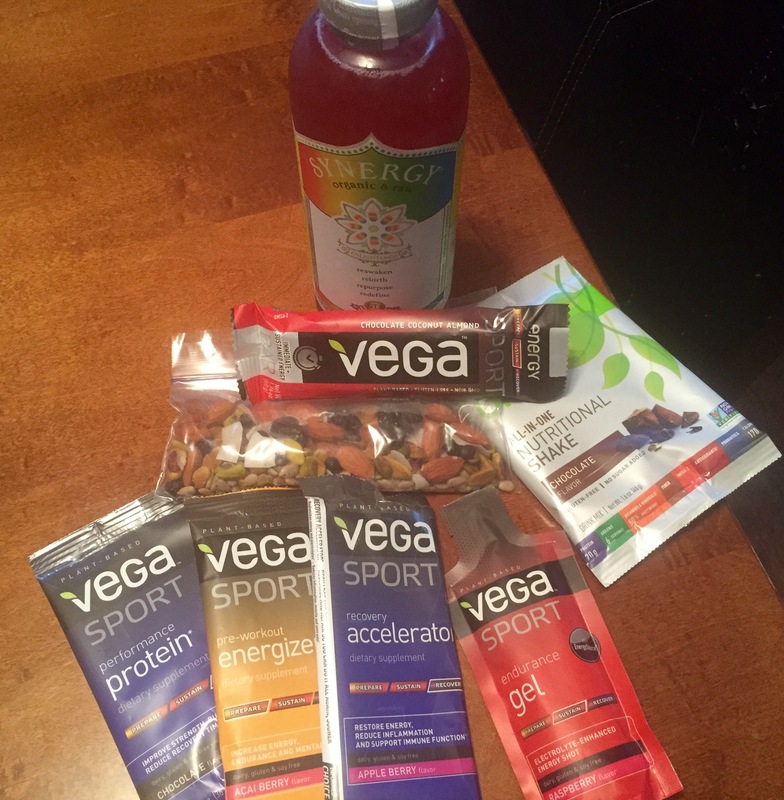 Danielle turned me onto Vega protein, pre-workout, nuts, and bars. I’m a fan. But NOT of the energy gel – eeewwwwww. That has been the only thing that I didn’t really love. Let’s be honest – I hated it. Haha! You really don’t realize how great all natural food can be until you seriously give it a chance. Second, I realized that I eat too much. I went ahead and wrote everything down. I’ve been holding extra lbs for awhile now, and I think it’s just because I’m eating and eating and eating. I spend most of my days training other people and not myself much anymore, so what I eat is super important, and this was a little wakeup call for me. Third… and I find this the most interesting…. If you know me, you know I have a little Quest bar problem. Seriously, I was eating 2-5 a day. Not kidding. Problem much? YES. So, yesterday I came back from a run and was starved and really didn’t have much in the house. I grabbed my favorite Quest bar… took 2 bites and threw the rest out!!! It tasted so processed and icky to me!! So…I find it interesting that after a week my tastebuds are still wanting natural stuff. 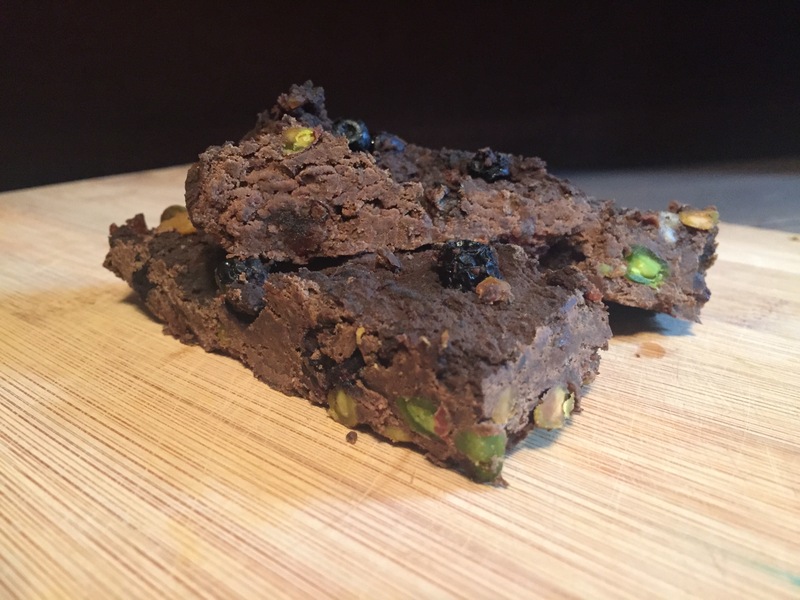 Here’s another little yummy… Black Bean Chocolate Protein Brownie Bars. I added in freeze dried blueberries and pistachios! These were a HIT with all who tried one. So, maybe you need a change-up or a reset. There’s a way to do it, so if you’re thinking of doing a detox or a cleanse, check with a professional before jumping in, otherwise you’ll be regretting it in a big way. 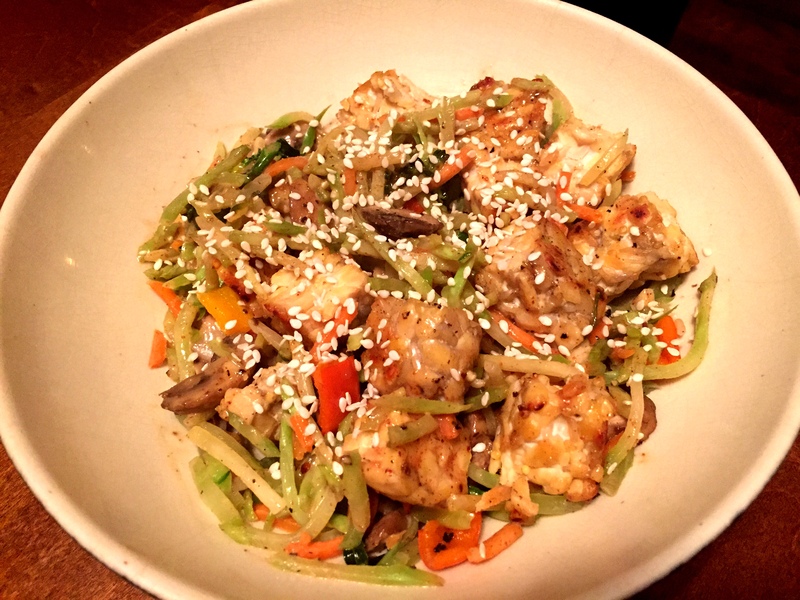 Danielle is a great person to contact to get started on nutrition info – check out her blog and you can contact her for more information from there – Uncaged Cuisine. 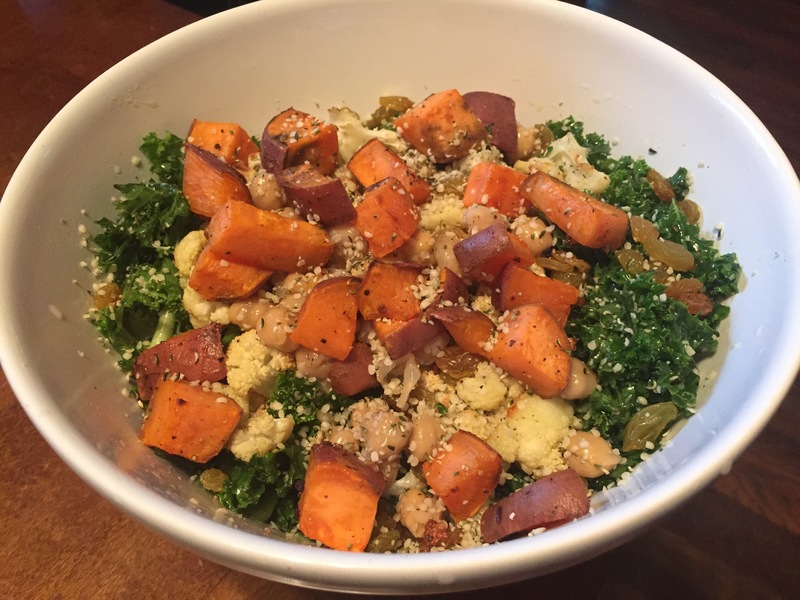 And another one of mine that will be up soon – Roasted Cauliflower, Sweet Potato and Kale Salad.. So, if you’re thinking of changing things up – give it a go! Try it and you might learn something new about yourself, about what you like and don’t like, and it might just inspire you to do a few things different! Happy clean eating! Thank you so much for reading Ashley! I’ll definitely check it out! 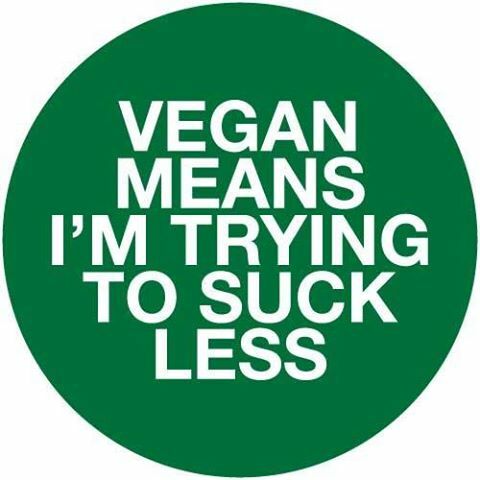 I’m still vegan for now. 🙂 Thanks again! !